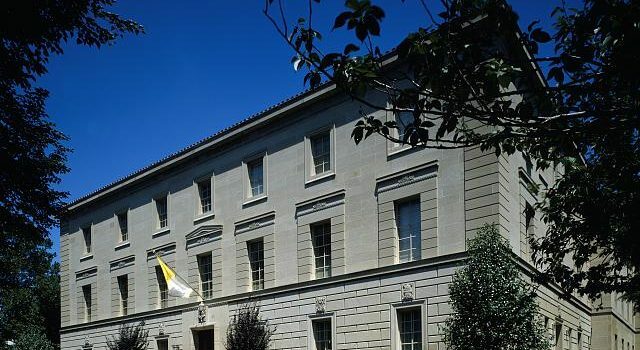 The Most Reverend Christophe Pierre is hosting the Annual Awards Reception at the Apostolic Nunciature in Washington, DC, on the 14th of November 2019. 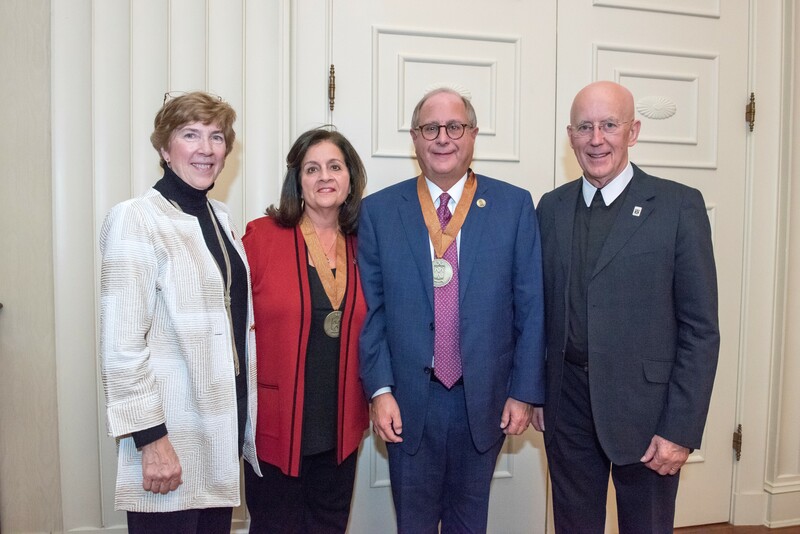 The Most Reverend Gerald F. Kicanas will be honored with “The Archbishop Pietro Sambi ‘Star of Bethlehem’ Award for Services to the Bethlehem University Foundation," in recognition of his support of Bethlehem University and his support for the endowed scholarship in his name. 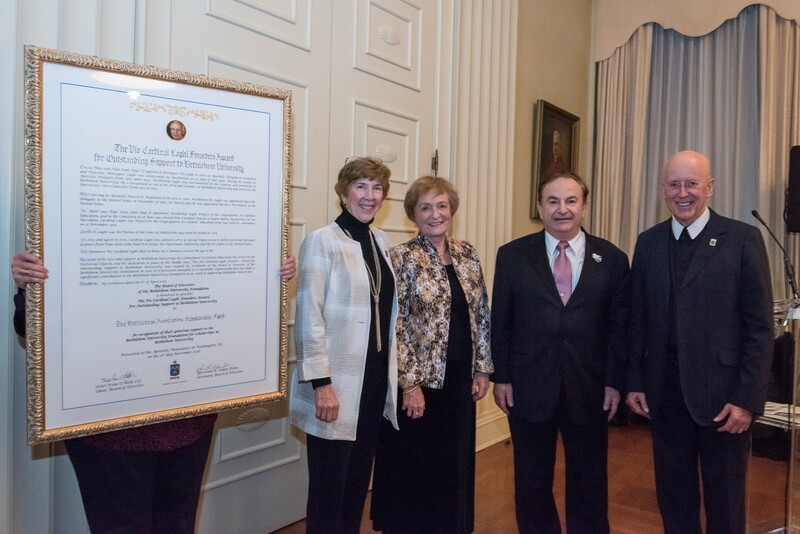 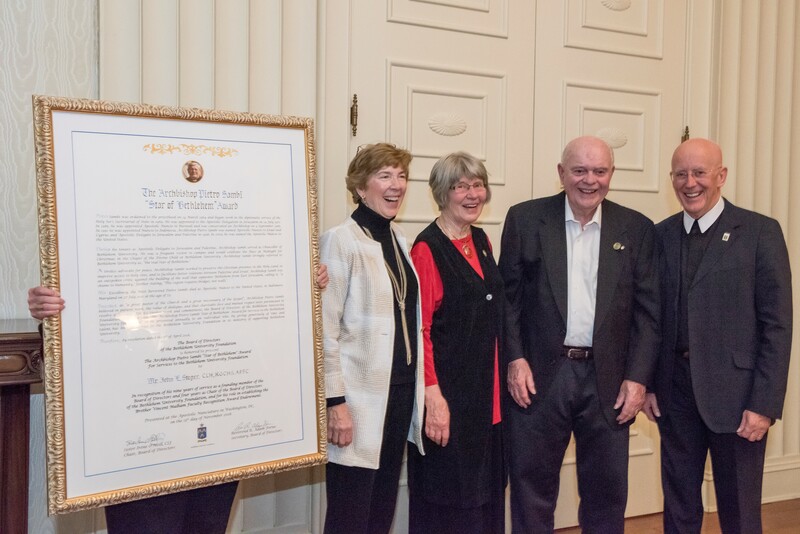 The Northwestern Lieutenancy of the Equestrian Order of the Holy Sepulchre of Jerusalem will be honored with “The Pio Cardinal Laghi Founders Award for Outstanding Support to Bethlehem University," in recognition for its support of the Foundation, especially to the Sir John McGuckin Mentoring and Internship Program, which annually brings students from Bethlehem University to the United States to intern during the summer. 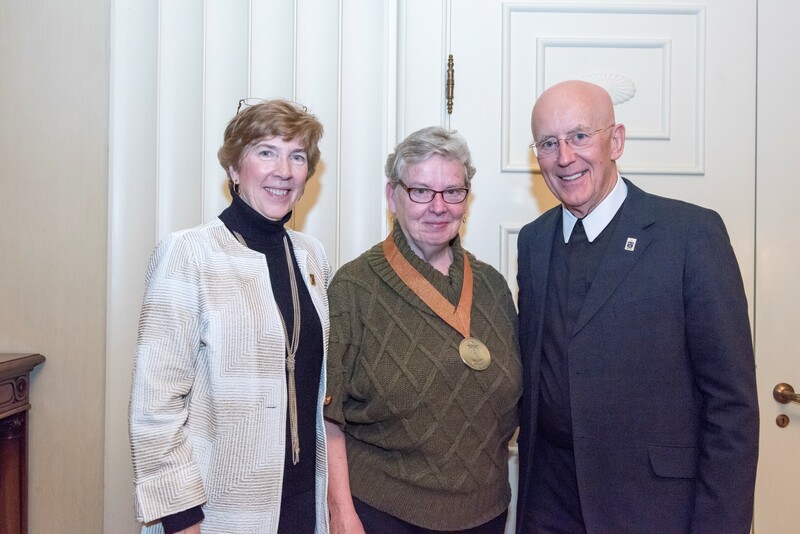 Click here to learn more about these awards. 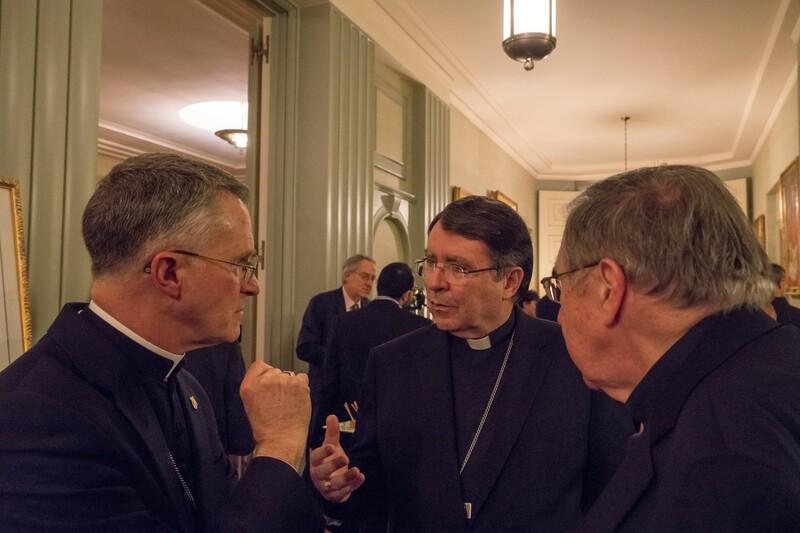 More details on the reception to follow. 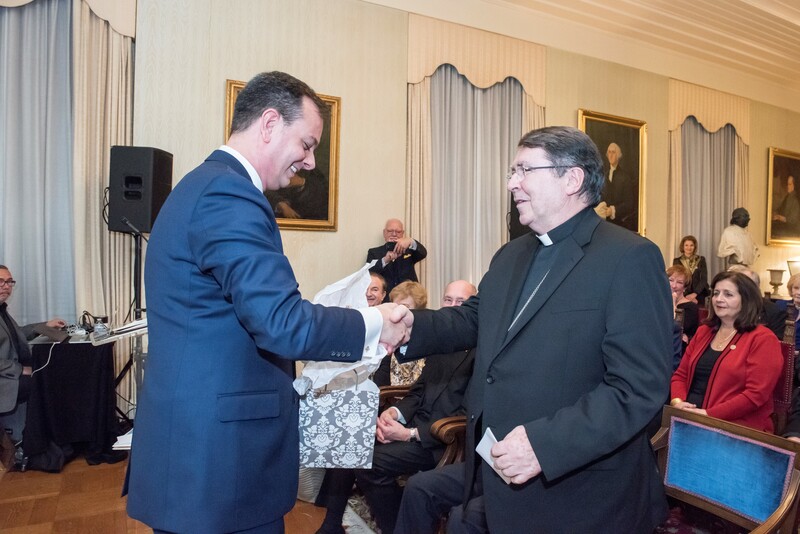 Click here to view more pictures from last year's reception at the Apostolic Nunciature.